REAL long, dark and thick eyelashes in 16 weeks! Unfortunately, not everyone is born with great eyelashes. For this reason, many people clump their lashes with heavy unnatural looking mascara, false eyelashes, and implants. The effects of these treatments are short-lived due to the fact the eyelash hair cycle is short. However, there is an alternative. Latisse is a specially formulated solution that has been clinically proven to help you to achieve fuller, longer and darker eyelashes of your own. 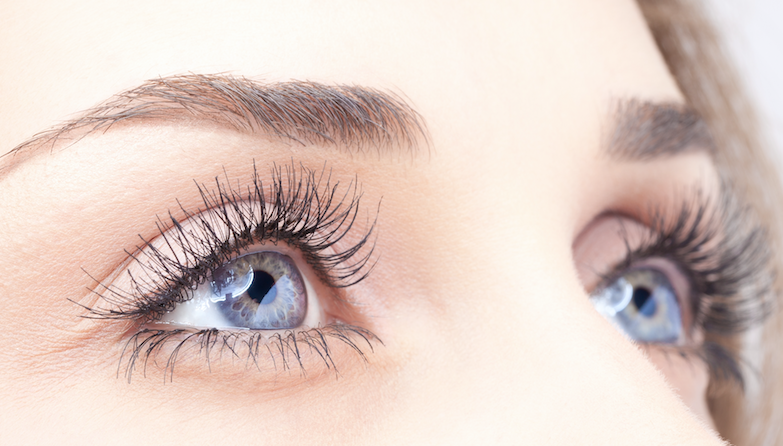 Latisse is a topical treatment that doesn’t require you to sit for lengths of time in a facility. This could be just the answer you are looking for. From when the treatment is applied you will notice results in as little as a week. However, the results keep getting better for the next 16 weeks with continued treatment. Once your lashes have reached their full potential with Latisse you should maintain treatment for continued full lashes. All it takes is one application each night before you go to bed and the special serum will get to work as you sleep. The first thing you will notice when you start to use Latisse is the length. As the treatment continues you will also notice that they get darker in color and thickness. No more mascara and no more implants! You will be able to swim, go out in the rain and perspire without worrying that your secret will be revealed. It’s not only you that will notice the changes, others will want to know your secret and comment on how much they would love great eyelashes too. It’s up to you whether you share your Latisse in secret or keep it to yourself. Clinical studies have shown that the Latisse gave a significant increase in density, length and the darker color in 78% of users after a period of 16 weeks. When used consistently the results can be maintained indefinitely. The results also showed that lashes were increased in length by 25%, thickness by 106% and 18% darker. Side effects from using Latisse are extremely rare and include a mild itching on the application. This should subside once you get used to your new treatment. Imagine never again having to apply mascara again! Imagine never having to worry about mascara running in wet and humid conditions. You won’t have to go to a clinic to get your treatment as you can purchase it and then apply in the comfort of your own home. As Latisse in York, PA is only available on the prescription you will have to visit the York Medical Spa who can prescribe it for you. This is a service that we offer and we can go through everything with you so that you can ensure treatment is applied correctly. Throw out the mascara, go swimming, diving, and surfing without having to worry about losing your long eyelashes. These are here to stay for as long as you use Latisse! Call the York Medical Spa today or fill out the form!